We take a small-college approach to a big-university education, creating personal roadmaps for every student. We do this by using technology and dedicated advisors to keep students on the path to a four-year graduation and moving seamlessly into their careers or on to graduate school. Our student success initiatives tackle systemic challenges from a student-centered perspective. We transform pedagogical practices in gateway courses and the way entire disciplines are taught. This work reaches across a broad spectrum, from engaging with K-12 education to building strong transfer student pathways from community colleges. And it changes the trajectory of households and communities. Your investment in student success through the Next Horizon campaign will strengthen all of these efforts. With your support, we will increase scholarships to help more students achieve timely graduation. We will ensure rigorous learning in a supportive academic community that includes high-impact activities such as research with faculty, internships, and peer- and service-learning. We will stimulate faculty innovation in teaching and course redesign. Together, we will develop and implement the solutions and strategies that help our students get to where they want to be. When he was 4, Price Destinobles lost contact with his father. Then, when he was 13, his mother was incarcerated. He faced many crossroads but finished high school with a 4.5 GPA. 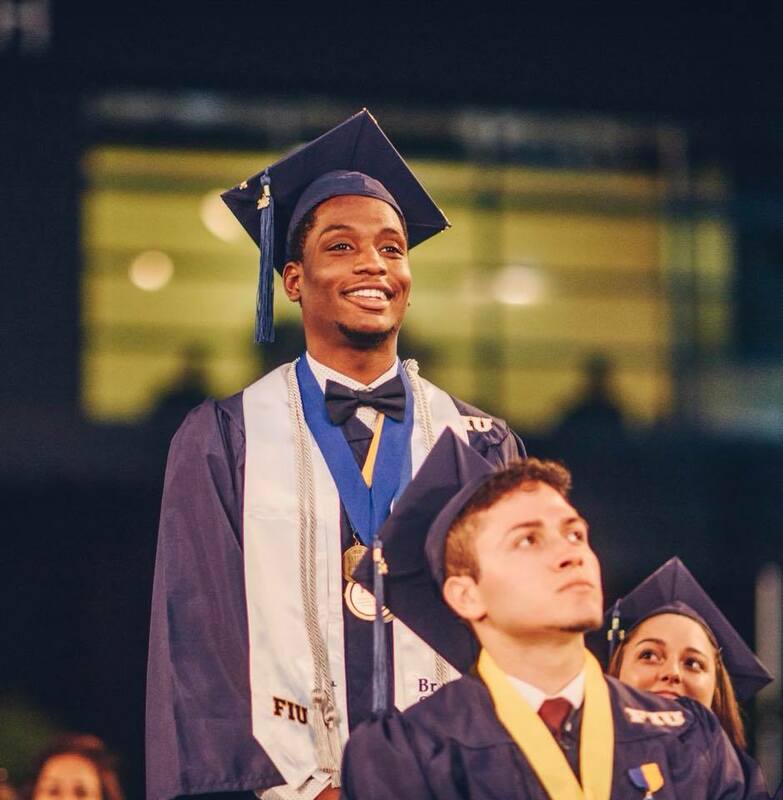 At FIU, Price continued to excel academically and personally. He received the full-tuition Carnival Gold Scholars award, supported by the Carnival Foundation. As a part of Fostering Panther Pride, a program that aids former foster care and homeless students, he took on leadership and mentoring roles. In December 2018, Price defied all odds and crossed our stage as a Worlds Ahead graduate. In 2015, Aldo Amenta sustained a spinal cord injury in a diving accident that left him wheelchair-bound. After his injury, Aldo’s family was left to make a difficult choice: pay for therapy or for his studies. For a time, Aldo even considered dropping out. But the FIU family came together to make sure this didn’t happen. Through Ignite, Aldo received the funds he needed to cover his tuition. 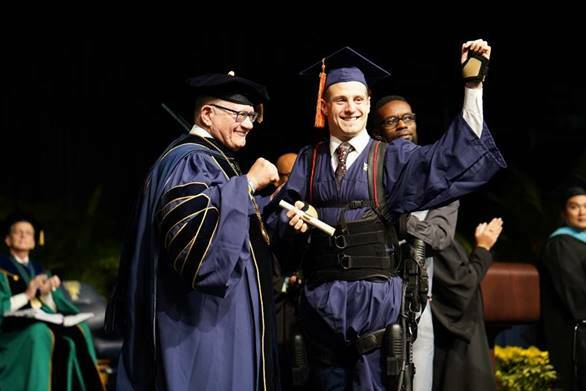 In December 2018, Aldo walked across the commencement stage with the help of an exoskeleton to receive a bachelor's degree in electrical engineering. Aldo’s story received national and international news coverage – and went viral, inspiring millions of people across the world.